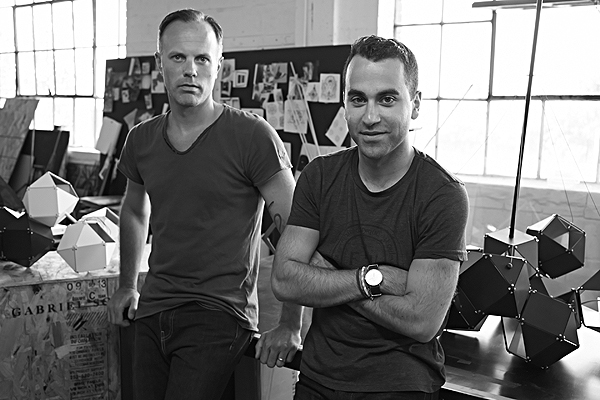 Jacques Barret welcomes the Canadian born, New York based designers, Gabriel Scott to the Triode showroom from September 1st to October 26, 2016. 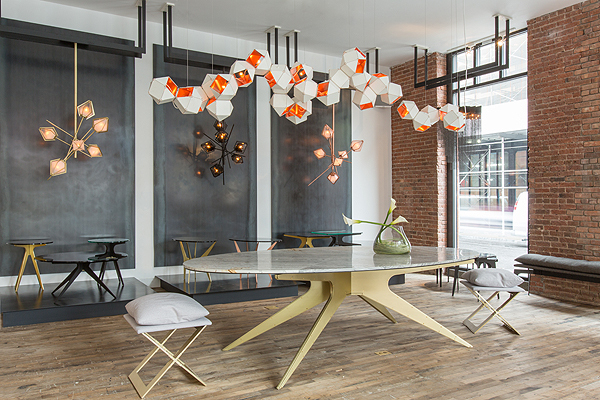 Launched in 2012, Gabriel Scott is a chic and contemporary line of furniture and lighting fixtures. Using luxurious materials like brass, copper, glass and marble, the high-end collection, which is handmade in their upstate New York showroom, is at once elegant and powerful, as only America can do. Located at the corner of Broome and Mott streets in Manhattan, the flagship showroom Gabriel Scott has become an exclusive address where Gabriel Kakon and Scott Richier (two brother-in-laws), welcome architects and private clients in search of their signature pieces.